Consistency is key for social media marketing success. Plan out all your social media in one place so you’re never left wondering what to post next. Get a copy of my personal social media content planner so you can stay focused and see results. I use this social media planner both for my business and for my clients. You can use this template exactly how I have it set up, or customize it to your own needs. It contains seven worksheets for you to use to plan out your social media content. With this excel template, you can easily plan out your social media. I even included the best times to post to each network, based on my own experience. You can send your filled out planner to your Virtual Assistant for them to schedule or schedule the posts yourself. If you are a VA you can even use this template to plan your client’s social media. 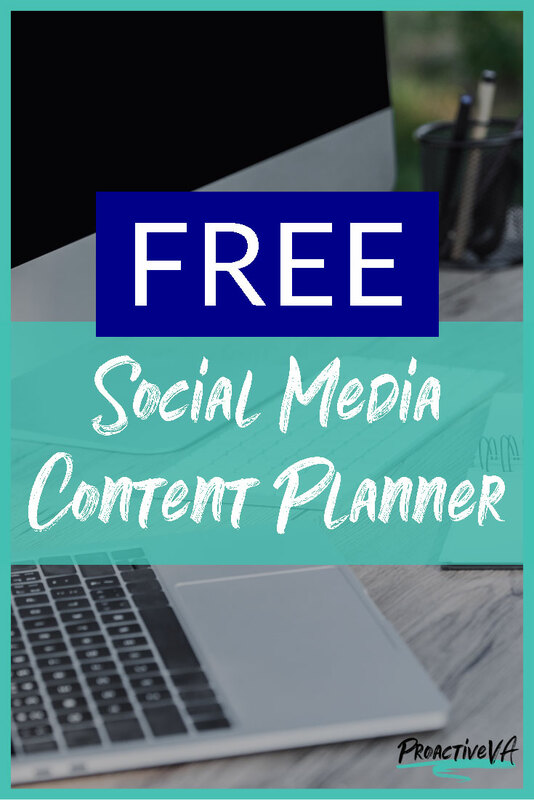 Download the free Social Media Content Planner below. Enter your name and email address to download my free Social Media Content Planner. Once you enter your info, check your email. Need help using your planner? Don’t hesitate to reach out to me on social media, I’m here to help. Copyright © 2010-Current. Proactive Executive Solutions.